Upon arrival in Delhi International Airport you are met and transferred to your pre booked Hotel. Overnight stay at the Hotel in Delhi. Today you are transferred to Delhi Railway Station to board train for Lucknow. 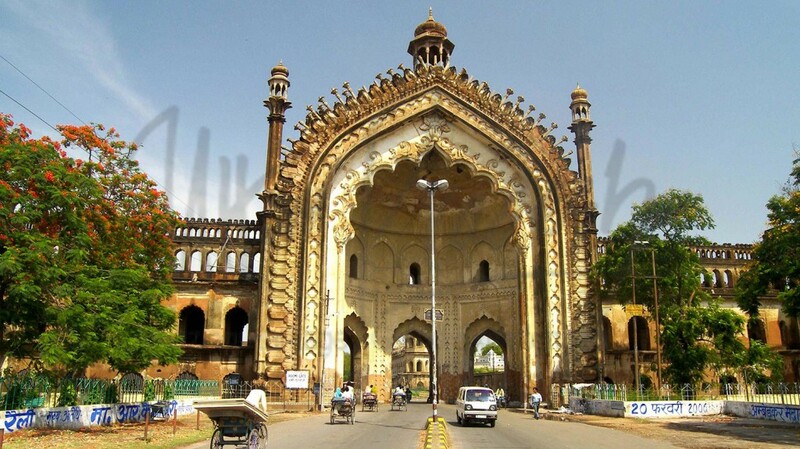 Upon arrival in Lucknow Railway Station you are met and transferred to your pre booked Hotel.Lucknow is a historically important city of the Nawabs noted for its Lucknow Cuisine and Chikankaari or exquisite shadow – work embroidery. Overnight stay at the Hotel in Lucknow. 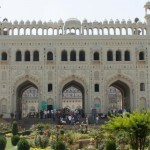 Morning proceed for a city tour of Lucknow visiting Bara Imambara – an impressive tomb with beautiful Mughal architecture build in 1783, Chhota Imambara, Husainabad Clock Tower – A British architecture build in a park with a beautiful lake, Rumi Darwaza, Dilkusha Gardens.Later explore the colorful bazaars or market of Lucknow. Overnight stay at Hotel in Lucknow. After breakfast leave By Private Vehicle for Sravasti. 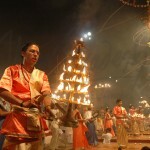 Upon arrival in Sravasti check in at your pre booked Hotel. The Capital of the ancient kingdom of Kosala has the honour for sheltering Buddha for 24 rainy seasons in the Jetvana Gardens. The city believed to be several temples. Buddha is said to have performed some miracles here. In Sravasti visit Seheth – Maheth & Jetvan. After breakfast leave By Private Vehicle for Lumbini. Upon arrival in Lumbini check in at your pre booked Hotel. 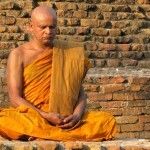 Lumbini – the birth place of the Buddha was located in 1890 after being untraced for 1,500 year. 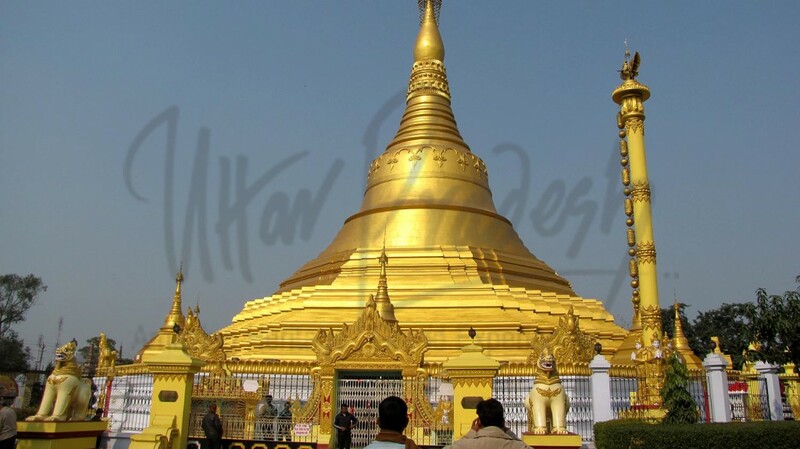 Evening sightseeing tour of Lumbini including a visit to the birth Place of Lord Buddha. Overnight stay at the Hotel in Lumbini. After breakfast leave By Private Vehicle for Kushinagar. 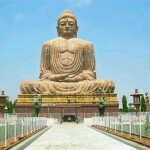 Upon arrival in Kushinagar check in at your pre booked Hotel.Kushinagar were Buddha finally attainded Mahaparnirvana. 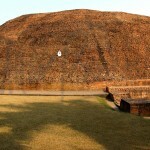 Almost the ruins are the Mukutbandhan Stupa and a beautiful statue of the reclining Buddha. Overnight stay at the Hotel in Kushinagar. After breakfast leave by Private Vehicle for Patna. Enroute visit to Vaishali where the Buddha preached his last sermon. Upon arrival in Patna check in at your pre booked Hotel.Patna – Capital of Bihar, this state was not only the early home of Buddhism but was also the birthplace of the Emperor Ashoka. 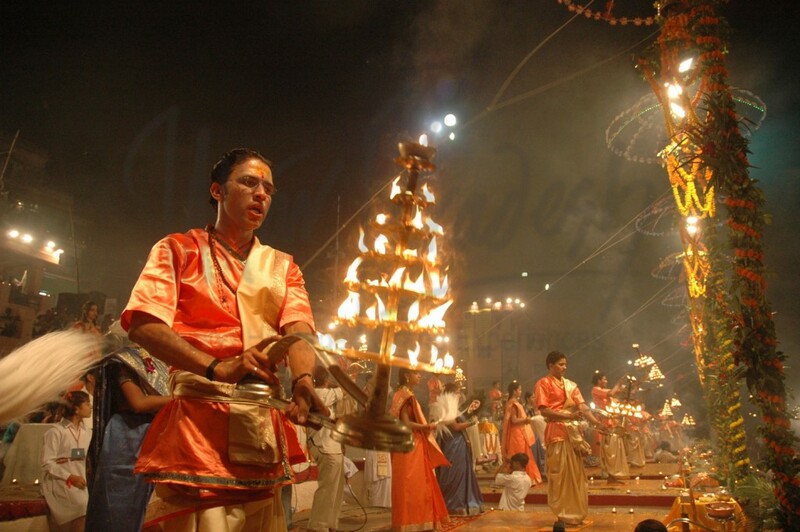 Today Patna is a large city which lines the banks of the River Ganges. Places of interest include the Gulzaribagh, site of the former East India Company’s principle opium warehouse, and the remarkable Golghar ’round house’ built of stone slabs in 1786 by Captain John Garstin as a grain store. 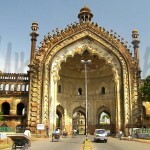 Also visit the State Museum and the Chowk area of old Patna. Overnight stay at the Hotel in Patna. After breakfast leave by Private Vehicle for Bodhgaya. 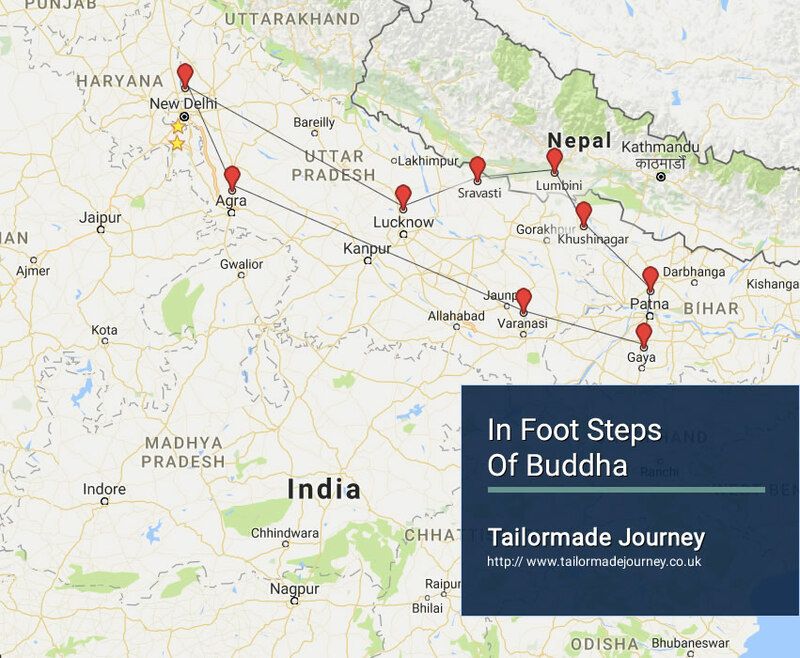 Enroute visit to Nalanda, home to one of the world’s oldest universities and an ancient pilgrimage site visited by both Buddha and Mahavir, the founder of Jainism. And Visit to Rajgir – The picturesque Rajgir, or Rajagriha as it was known in the past (literally, the abode of kings) is surrounded by the meandering river Banganga and hills.Upon arrival in Bodhgaya check in at your pre booked Hotel. Overnight stay at the Hotel in Bodhgaya. 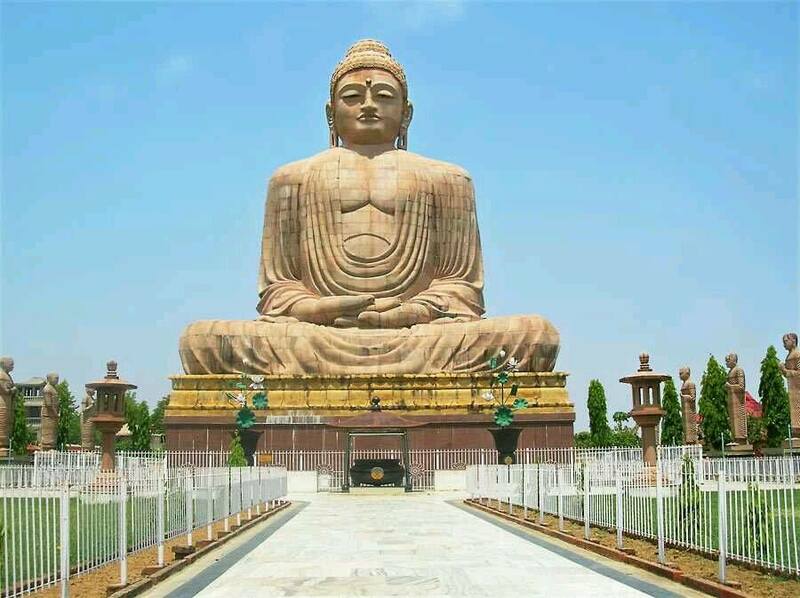 Today explore Bodh Gaya with your guide. This vast area houses numerous monasteries, temples and statues, however, the focal point of the entire settlement is the beautiful Mahabodhi Temple and large Bodhi tree. The temple is a UNESCO World Heritage Site and is believed to stand on the site of an earlier 3rd century BC shrine. Bodh Gaya is also home to temples built by pilgrims from other lands in their own architectural style, from the traditional Bhutanese temple to its modern Japanese counterpart. 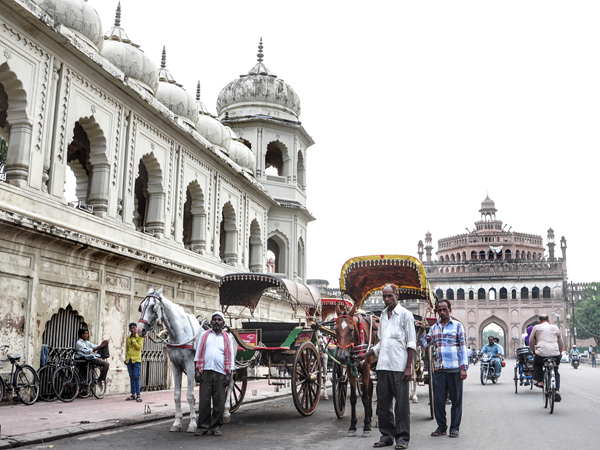 After breakfast leave by Private Vehicle for Varanasi – Situated on the banks of the sacred River Ganges, Varanasi has been a centre of learning and pilgrimage for over 2,000 years and is one of the oldest surviving cities in the world. 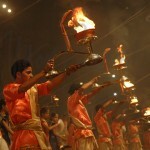 Upon arrival in Varanasi check in at your pre booked Hotel. 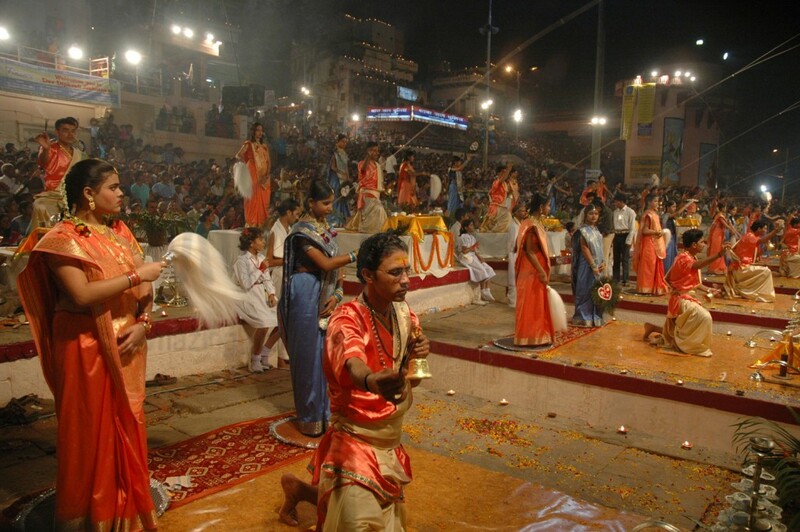 Later this evening make your way to ghats and watch the beautiful evening aarti religious ceremonies take place. Overnight stay at the Hotel in Varanasi. 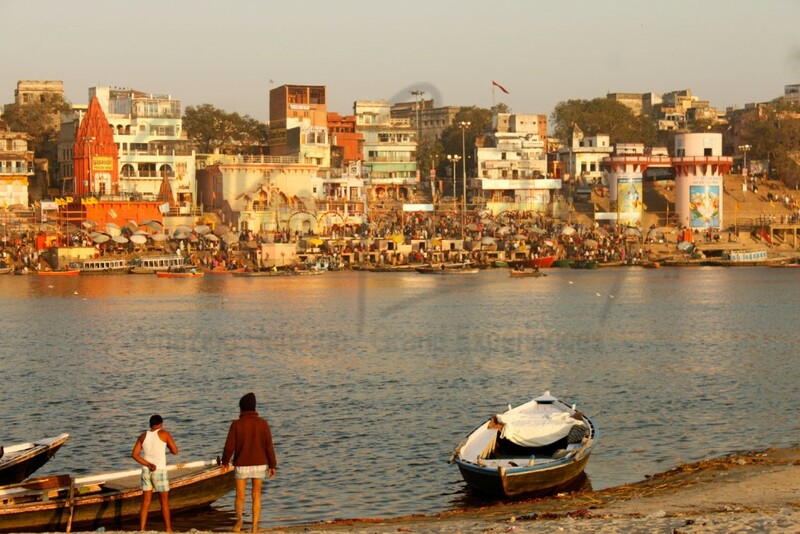 Varanasi formerly known as Benares is the city where the Hindu followers come and bathe in the sacred waters of the Ganges as it is considered holy and auspicious. 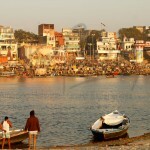 Early this morning get ready for a dawn boat ride on the River Ganges. 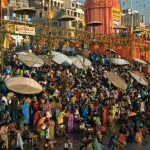 The Ganges is the most sacred river in India. 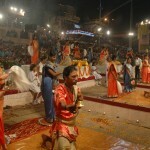 Hindus believe that after taking a bath in the River Ganges their sins get washed away. The Cremations of the dead bodies also takes place here on the banks of the river. 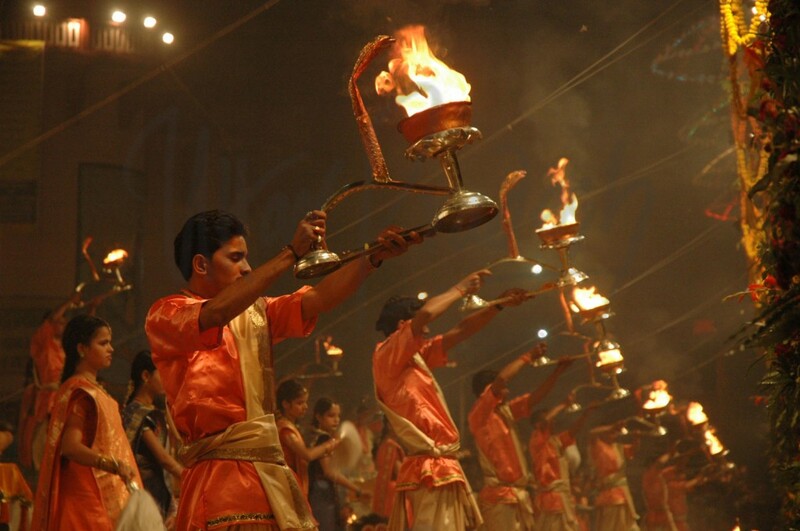 After the boat ride walk through the fascinating narrow twisting lanes of the city to watch the performance of various Hindu rituals by the pilgrims.After the boat trip on the Ganges we return back to the hotel. Later proceed to visit of Sarnath on the outskirts of town. It was in this Deer Park that the Lord Buddha gave his first sermon. Visit the Park and Museum. 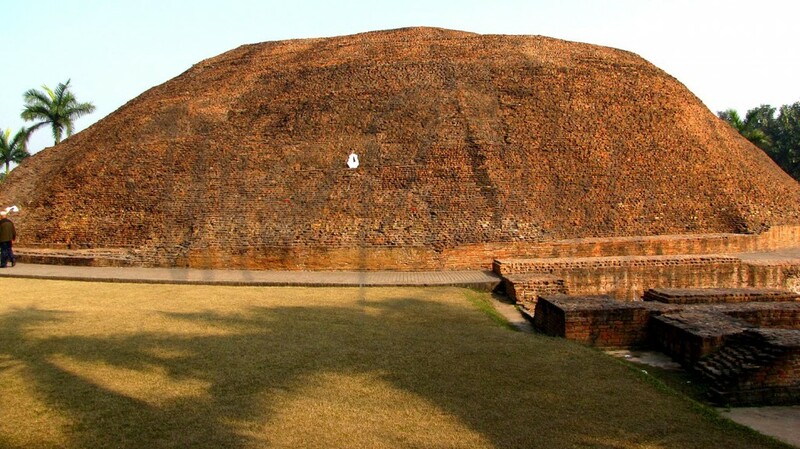 Sarnath was made centre of Buddhist worship by the emperor Ashoka in the 3rd century BC. We will visit the Main Shrine and Ashoka’s Pillar. In the Archaeological Museum we will see the beautifully carved capital from the pillar along with many other priceless Buddhist artifacts. 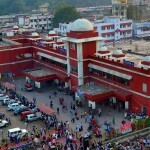 Morning you are transferred to Varanasi Railway Station to board train for Agra, the Mughal City. 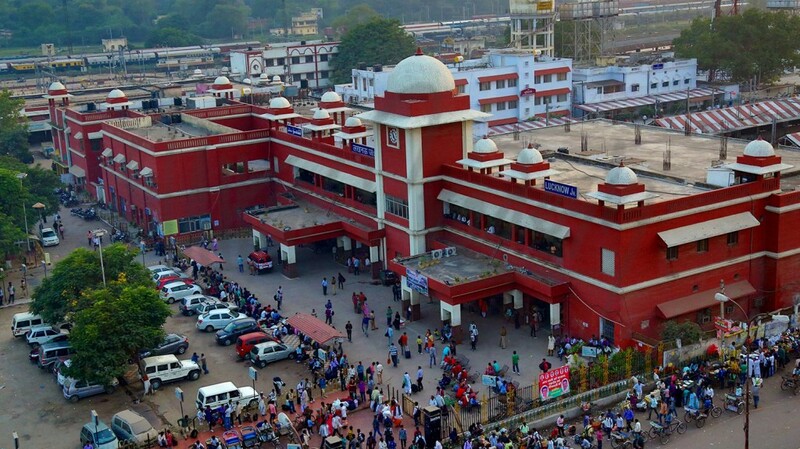 Upon arrival in Agra Railway Station you are met and transferred to your pre booked Hotel. Overnight stay at the Hotel in Agra. Very early morning visit the Famous Taj Mahal at Sunrise a fine example of the Mughal Architectural Styles is one of the seven Wonders of the Modern World. 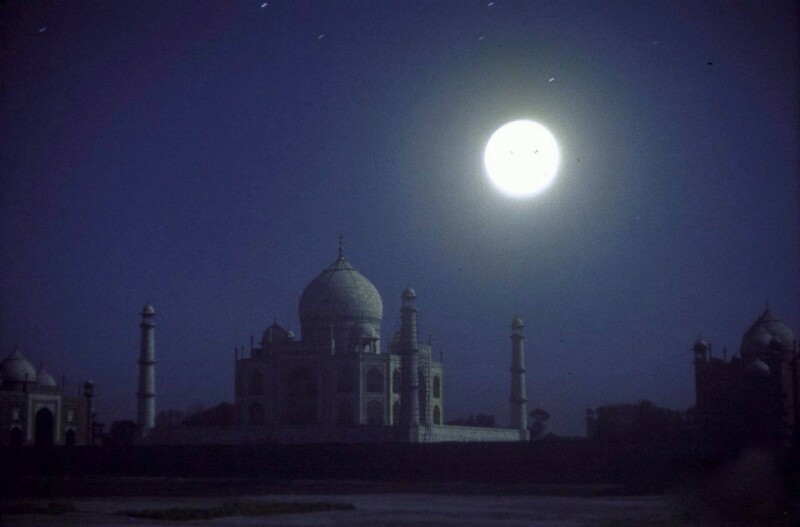 Built in 1652 by Emperor Shah Jahan in memory of his wife Mumtaz Mahal. 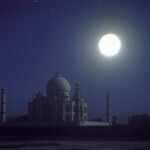 Taj Mahal was built in white marble which took 22 Years to build by 20,000 skilled artisans. The Building’s stupendous scale, flawless symmetry, translucent white marble and shimmering reflection in the water channel are truly breathtaking. (Every Friday Taj Mahal is closed).After viewing Taj Mahal we return to hotel for breakfast.After breakfast proceed for city tour of Agra visiting Agra Fort – built near the gardens of the Taj Mahal stands the important 16th-century Mughal monument. Agra Fort was also the headquarters for the Mughal Emperor Shah Jahan, Itmad-Ud-Daulah a beautiful tomb built of red sandstone in the memory of architect of the Taj Mahal. Late afternoon you are transferred to Agra Railway Station to board train for Delhi. 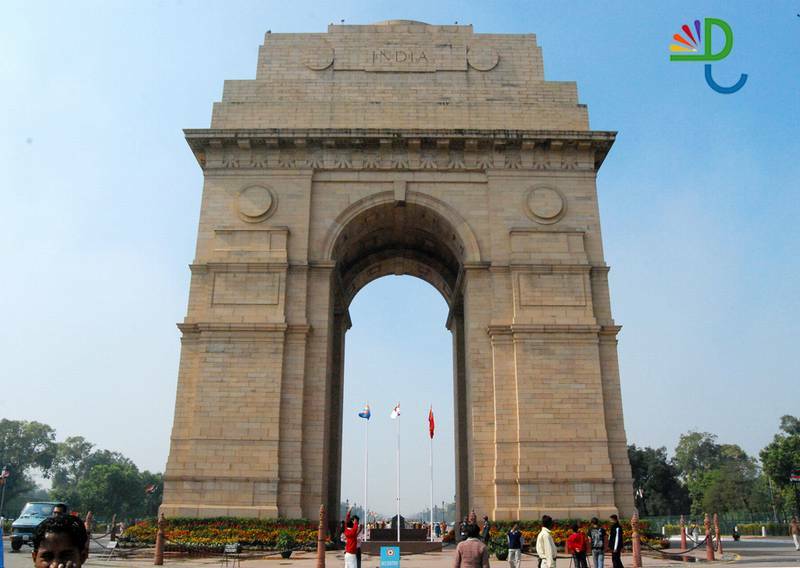 Upon arrival in Delhi Railway Station you are met and transferred to your pre booked Hotel. Today you are transferred to Delhi International Airport to board flight for your Onward Journey. Chanakya Inn has 33 well equipped rooms spread over 4 floors. Two newly renovated conference halls best suited for small in-house conferences and get together for up to 50 peoples. The hotel also has fitness facilities for our health conscious guests. Room guests can also enjoy internet as well as satellite television facility. Golden Tulip Lucknow provides spacious and modern rooms with en suite bathrooms. It is situated 1 km from Charbagh Station and features 2 dining options, a business centre and Wi-Fi in the entire hotel. It has a rooftop swimming pool, spa and fitness centre. Hotel offers 115 Rooms. The air-conditioned rooms at Golden Tulip Lucknow are well equipped with a flat-screen TV, a work area and an in-room safe. They all have minibars and free toiletries. Some rooms come with a comfortable seating area. Branche’ is the restaurant, bar and lounge while The Oriental Work is a Pan Asian specialty restaurant. Guests can relax and enjoy light snacks in Just Baked, the hotel’s lounge. Room service is available. The hotel is situated 12 km from Lucknow Airport and 3 km from Hazratgani. Chowk is about 6 km from the hotel. The tour desk helps guests organise excursions to tourist attractions. Radisson Hotel is located 3 km from local Bus Stationand Varanasi Cantonment Railway Station. Nearby attractions include SarnathBuddhist Place, Main Ghats at the mighty Ganges and Kashi Vishwanath Templewhich are at 6 km. The Tulsi Manas Temple is 8 km away while the Lal Bahadur Shastri Babatpur International and Domestic Airport is 22 km. The air-conditioned rooms are equipped with a minibar,seating area and flat-screen satellite TV. The attached bathroom comes with a hairdryer, shower and free toiletries and it offers 116 Rooms. With a 24-hour front desk, the property providesservices like luggage storage and currency exchange. A meeting/banqueting spaceand business centre are available. Guests can pamper themselves with a relaxing massage. A tour desk is available to make travel arrangements. East West, the coffee shop offers hot beverages. The Great Kebab Factory (TGKF) serves vegetarian and non-vegetarian kebabs. The Oakwood Bar serves alcoholic beverages while R The Lounge serves alcoholic as wellas piping hot refreshing beverages. Guests can enjoy their favourites at the Poolside barbeque. The Luxurious realms of Lotus Nikko Hotel, step into a world of pleasure & pilgrimage in which pleasure combine to pamper the guest effectively. The hotel is an exemplary piece of architecture with 56 well appointed rooms and 02 deluxe suites with all modern amenities of comfort and luxury. Lotus Nikko Sravasti is just walking distance of “Sahet Maheth” the place of Worship. Lotus Nikko Hotel committed to courtesy. The designer suites which evokes elegance. Unwind in the luxurious comforts of your royal recluse. Lotus Nikko Hotel serves Multi-Cuisine speciality Restaurant have an aesthetical ambience serving Indian, Chinese, Continental, Japanese, Thai & Korean. Buddha Maya Garden Hotel and Resort is located within the Lumbini Heritage Site, about 8 miles from Gautam Buddha Airport. It offers free parking and an international restaurant.Rooms at Buddha Maya Hotel feature both air conditioning and ceiling fans. Each comes with a cable TV and slippers. Private balconies overlook the surrounding landscapes. Guests may rent a car to explore the area or arrange day trips at the tour desk. The hotel also provides a business center and laundry services. Buddha Maya’s restaurant serves a selection of local, regional and international cuisines. Lotus Nikko Khushinagar is located just 5 minutes walk from “Mahaparinirvana Temple” & “Japanese Temple”. The Hotel has 52 luxuries rooms, 13 deluxe rooms & 02 suites are spread across a two storey building. The Hotel has two uniquely designed Banquet Hall with the capacity to cater 400 people and ideal for conference and social gathering. Most elegantly furnished, multi-cuisine speciality restaurant have an aesthetical ambience serving Indian, Chinese, Japanese, Thai & Korean our chef guarantees to take you on an exotic gourmet trip. Lotus Nikko Bodh Gaya you are not only in the city’s central, but also enwrapped in all the warmth and cheer. 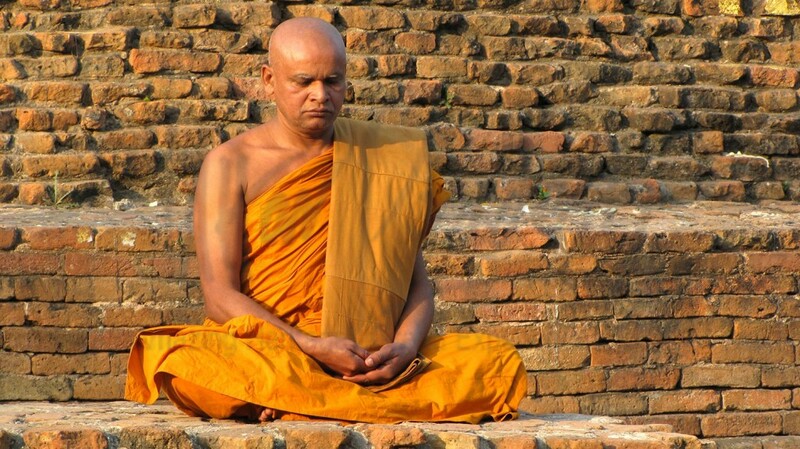 The city is famed for the best of Bodh Gaya’s “Feel” truly an experience of a life time. The Restaurant serves Indian, Chinese, Japanese & Continental cuisine. The Lotus Nikko Bodhgaya has 58 deluxe rooms & 02 executive suites consisting of 01 presidential suite. It is adjoining “Maha Bodhi temple”.